Jason Coleman and Meagan Taylor Host the Ernest Tubb Midnite Jamboree! NASHVILLE, TN — Jason Coleman and Meagan Taylor host the second longest running radio show in history, the Ernest Tubb Midnite Jamboree! 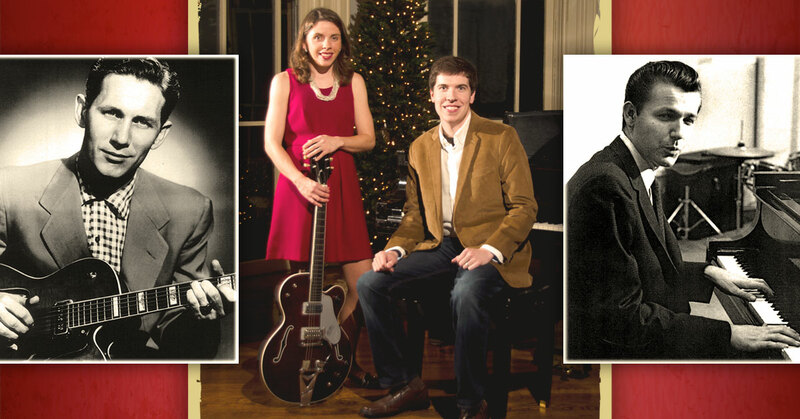 From the stage of the Texas Troubadour Theatre, the duo will share a concert of holiday classics featuring the signature “slip note” piano style made famous by Jason’s grandfather, Floyd Cramer, and the famous fingerstyle guitar popularized by Meagan’s uncle, Chet Atkins.